Stena Bulk has made a major investment in scrubbers and before January 2020 16 units will be installed. 10 IMOIIMAXes, 5 Suezmaxes and one of standard MR will be equipped with the after-treatment system. The total investment is worth 55 MUSD, including equipment, installation and time out of service. Payback time of investment is between 1,5 and 2,5 years which has already been secured by hedging the fuel spread. By installing scrubbers on board, Stena Bulk will comply with the upcoming IMO Sulphur cap regulation, which limit the sulphur content in fuel oil used on board vessels globally to a maximum of 0,50% from today´s 3,50% limit, coming in place January 2020. As a result of the new regulation the global shipping fleet will by 1st January 2020 be required to either install scrubbers on board or to use a compliant fuel with the maximum sulphur content of 0,50% (outside Emission Control Areas (ECAs)). The fuel availability around the globe, to a degree a given one, has now become a concern to many. “We evaluated the different options and came to the conclusion that for our business by installing scrubbers we will secure greater availability of fuel for our vessels and by so limit our exposure to not finding the right fuel around the world and by that stay flexible in our trading. Even doing so we know it will require some changes and probably massive challenges in the planning logistically. We will however prepare ourselves best possible so that we can secure at least the same level of support to our customers as today”, says President & CEO Erik Hånell. In addition to the equipment we now install the most important part to make all work is of course the people working with this. We have the last 24 months prepared our business teams to assure minimal to none disruption caused by the scenario we are now facing as from January 1st 2020. Going forward, our digital platform, Orbit, one of many tools will be able to confirm global supply to optimize the planning in our bunker operations, as a support to Commercial Operation, Bunker trading and Chartering. Stena Bulk is well prepared for the IMO2020 sulphur regulation and implementation of what is needed to always fully comply with the new rules. 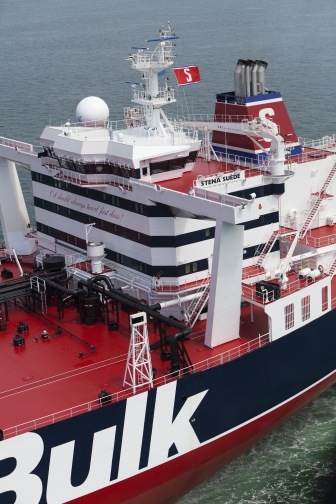 With offices in six countries, Stena Bulk is one of the world’s leading tanker shipping companies. The company controls a combined fleet of around 100 tankers. Stena Bulk is part of the Stena Sphere, which has more than 20,000 employees and sales of SEK 60 billion.